The 2017 college football season may have just wrapped up, but our staff is already preparing to kick off the 2018 season in Charlotte with the highly anticipated matchup of West Virginia and Tennessee in the Belk College Kickoff. This can’t-miss game will surely be a highlight of the first week of college football, and we want to offer you the chance to get to the top of the waitlist for tickets. Just select “CONTACT US” and send our ticketing team an email. With more than 100 combined points and over 20 records broken, the 2017 Belk Bowl featuring Wake Forest and Texas A&M will be remembered by attendees for years to come. 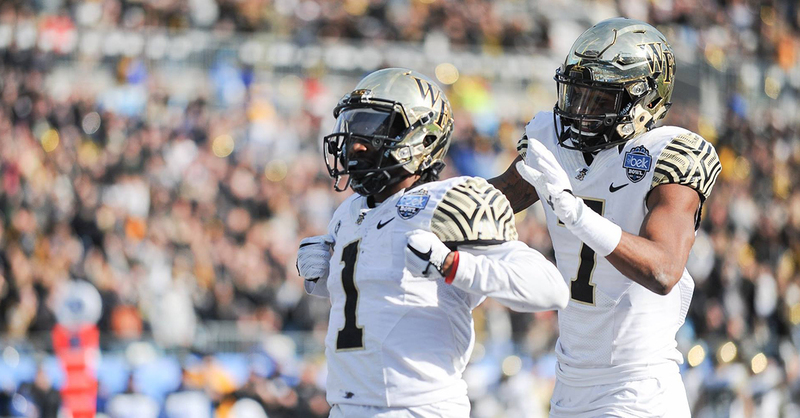 The game came down to the wire with Wake Forest pulling off a win in dramatic fashion, resulting in the Belk Bowl being named the second-best bowl game by CBS Sports. While we are just under a year from the 17th Annual Belk Bowl, we can’t wait for what’s to come and hope to see you next season!